A college professor offered to watch his student’s children while she was taking her finals after her babysitter cancelled at the last minute, and the photo of the babysitting professor is going viral. 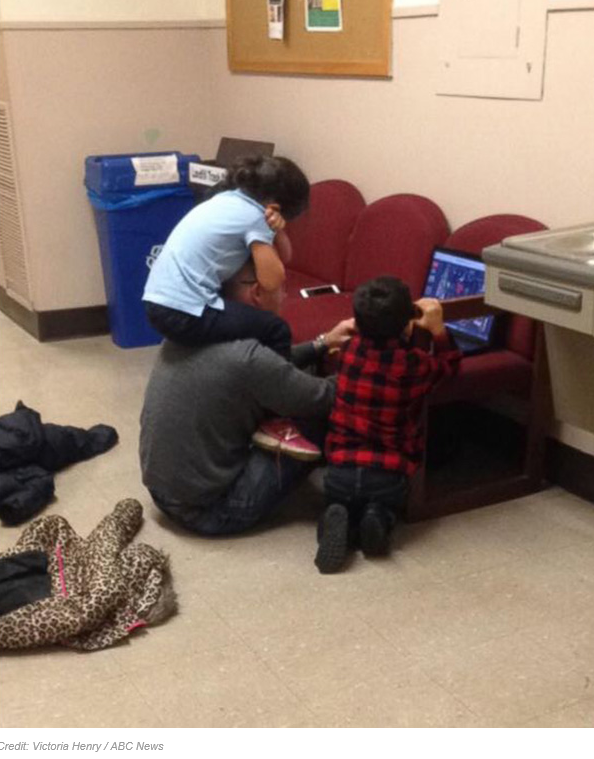 Daniel Krebs, a professor at the University of Louisville, was photographed playing computer games in the hallway outside of his classroom with Monica Willard’s 4-year-old son, Marcus, and 5-year-old daughter, Mikayla. Willard told ABC News she tried to get her kids to sit quietly on the couch before Dr. Krebs intervened. After Willard stepped out of the classroom to check on her kids, she asked her friend and fellow exam-taker Victoria Henry to snap the shot since her kids commandeered her phone. Henry told ABC News she couldn’t resist posting the “kind act” online. Willard said her kids are now big fans of Dr. Krebs. More random acts of kindness will restore confidence in both the recipient and the provider, because the world in which they live is improved by them.